SJ was in studio for a review of Danielle Bregoli's rapping, a Stoned Ballers Fantasy Football League update, a very special St. Paul report live from the farm and more! 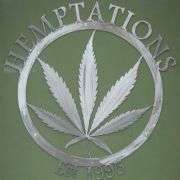 The Show is brought to you by Hemptations, Next Bardo and Green Gone! SJ was in studio for a new voicemail from St. Peter, Weed News about jobs, MA voters, AZ foster kids and talking to kids and weed plus why government control of healthcare won't work and even more! The Show is brought to you by Hemptations, Next Bardo, Queen City Hemp and Green Gone! SJ was in studio for some aborted attempts at broadcasting live on Periscope, Odd News about Trump and Top Gun, a bloody funeral home, white privilege and more plus some #AskStonerJesus on Periscope and even more! SJ was in studio for a new voicemail from St. Peter, Weed News about Roger Stone, Washington, Canada and more plus a Stoned Ballers Fantasy Football update, reporters in Hurricane Irma and even more! The Show is brought to you by Hemptations, Next Bardo and Queen City Hemp! SJ was in studio for a "defense" of Joel Osteen, a preview of the show's Stoned Ballers Fantasy Football League, some classic St. Peter Lists about Labor Day and Fall and more! 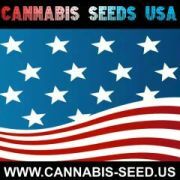 The Show is brought to you by Hemptations, Next Bardo, KorLor420 and Queen City Hemp!